I’d like to say this post was full of lyrical ingenuity until…I accidentally deleted it. Not having responsibilities can be a bit of a mixed blessing. See, I’ve been feeling a bit stretched over the past month, so when Dad said not to worry about contributing to the holiday nibbles this year, I took it with a measured degree of welcome. 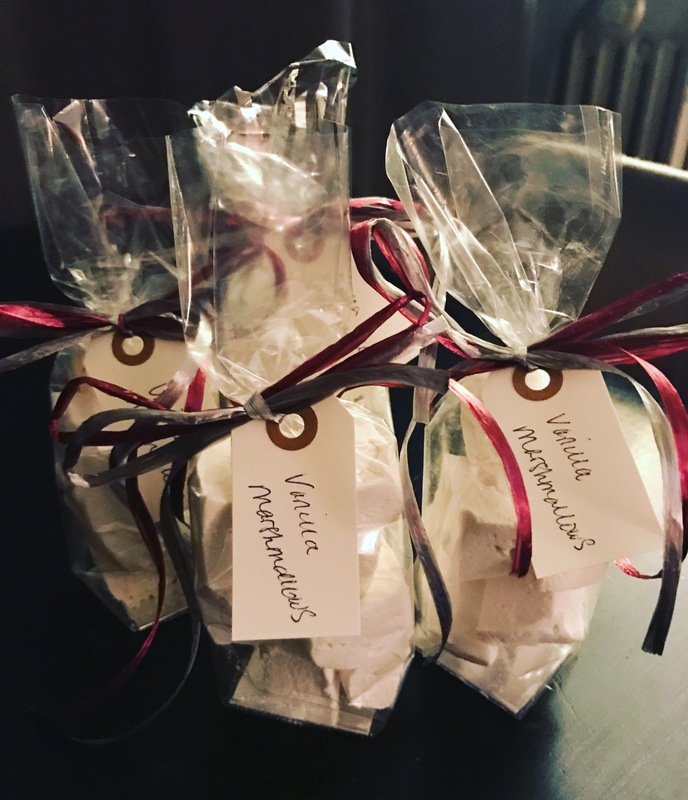 I’d been attending to the holiday tradition of homemade marshmallows over the previous week, finding most kitchen surfaces blanketed with wisps of powdered sugar and fondant and really didn’t mind putting my feet up and enjoying the ambiance while someone else was wiping beads of sweat from their brows. A fantasy for most home cooks, I realize. 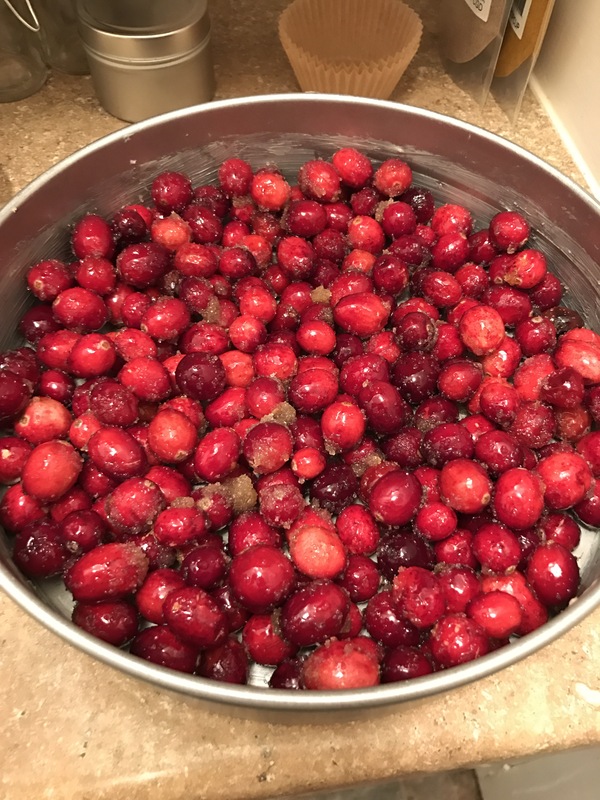 Regardless, I don’t feel like myself unless I’m doing some sort of culinary excursion, and I didn’t want to miss out on the fleeting opportunity to engage with some cranberries. 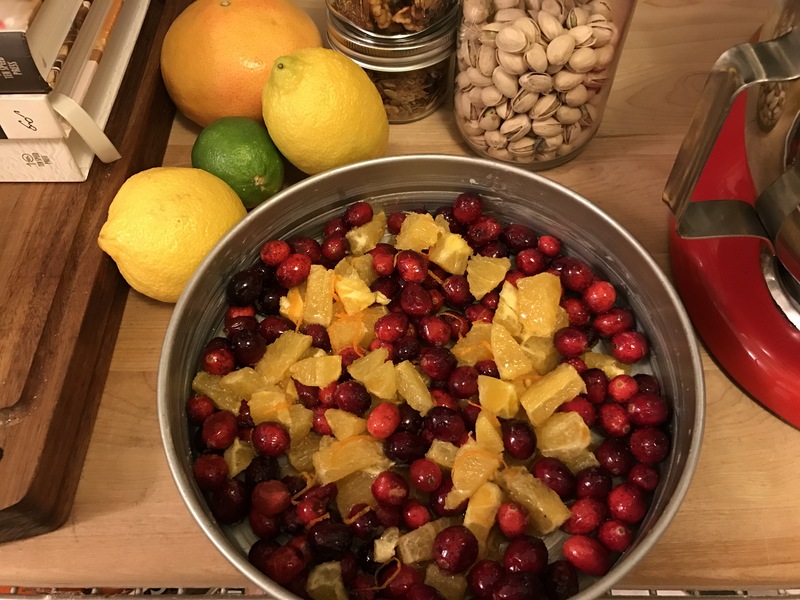 I could wax on about the health benefits of cranberries, however I must admit that the majority of my culinary endeavors have more to do with what I’m craving, along with something that provides a certain aesthetic. I shop with my palate, and well, my palette. I’d found a bag of these pert little orbs languishing about in the market and took them home with the idea of making a seasonal chutney or compote and then promptly forgot about them for a week, only to rediscover them when I was feeling a bit cakey. 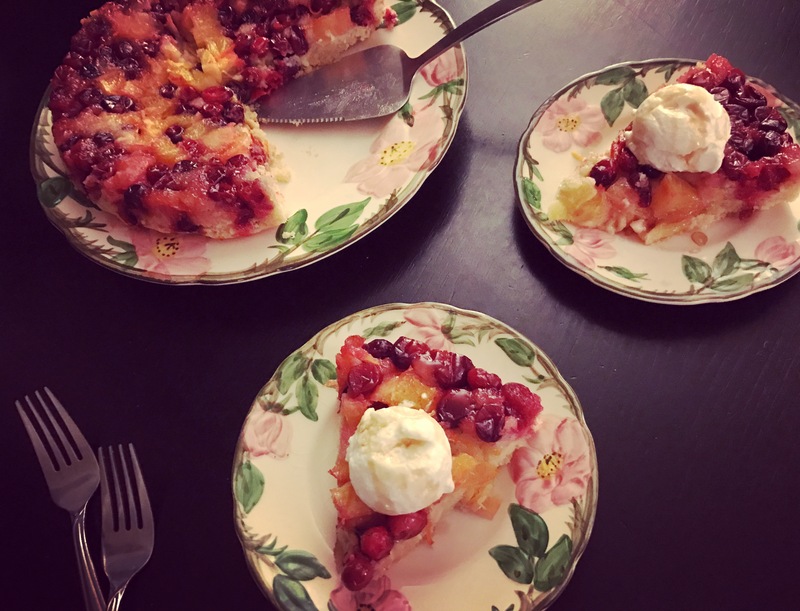 I thought about making something along the lines of the oft-prepared ricotta olive oil plum cake that I love so much, then decided to go for something a little juicier, a bit more of a sparkler. Macerating the cranberries with some oranges and a bit of sugar and vanilla to sweeten them up, I wanted a cake with a dense crumb that would act as a perfect foil for the fruit. A simple sponge, similar to pound cake, that requires equal weight flour, sugar, butter and egg. The cake is quite elegant on its own, however dressing it up with a bit of Greek yogurt drizzled with syrup made the perfect excuse for breakfast snacking. I mean, honestly, I can justify cake most any time of day. PS – Happy Holidays! 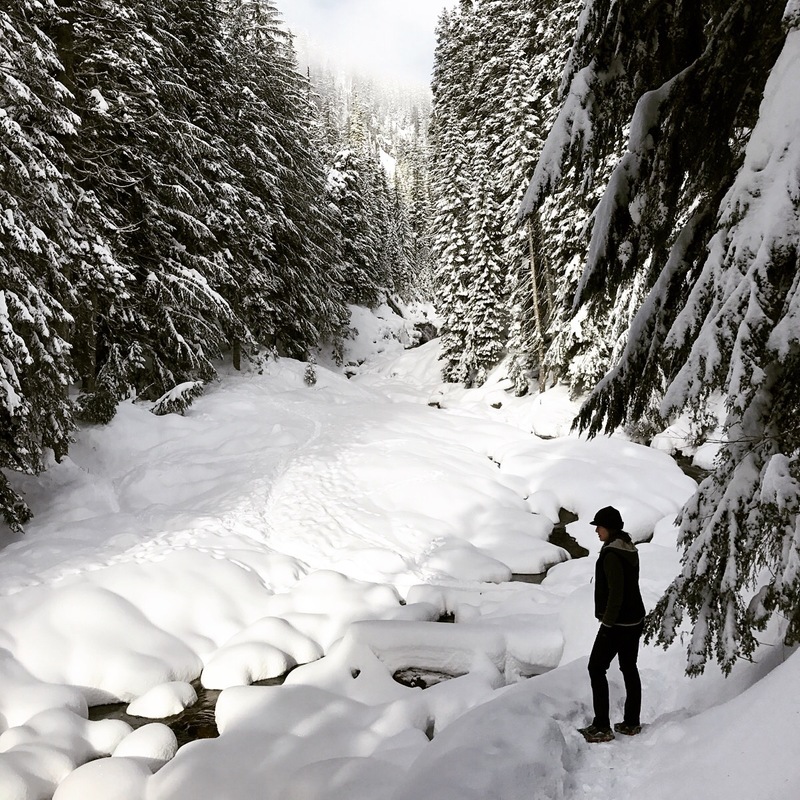 Here’s to snowy adventures. Briefly incorporate the dry ingredients into the wet. Pour the fruit into a buttered 9-inch cake pan, then spread the cake batter evenly over the top of the fruit. Bake for ~30 minutes until done; the cake should be golden and have a light spring in the center (inserting a skewer or knife in the center should come out clean). Let rest for ~20 minutes, then run a knife around the edges of the pan before inverting onto a serving plate. Serve on it’s own, or with a little whip cream or yogurt, as desired. I keep coming back to.... "What would I do if I wasn't afraid?"